We are manufacturing welded fittings with 100% Radiography. 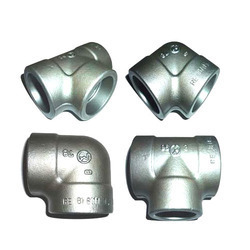 - Carbon welded fittings are available in types like – weld neck, blind, lap joint, ring joint, long weld neck, deck flange, etc. Mech - Well Fittings Private Limited.